* Viewing player development as a long-term process. WVMHA prides itself on providing and encouraging a style of play built around the belief that the game of hockey is fundamentally about making quick decisions, learning to read and react and playing as a team. There is something special being a part of a team that creates memories and legacies for a lifetime. This document is meant to be an addendum to the broader principles of WVMHA and a guide to coaches, players and parents on what they can expect to see on the ice at WVMHA. It is not intended to undermine the independence of our coaches but rather provide an overview and direction as to the “Style of Play” that WVMHA expects to see at every age level within the Association. With the guidance of the board and Director of Hockey Operations we look to our coaches to develop the drills and training strategies that provide the best opportunity for our players to be successful. The safest environment for our players, in terms of injury mitigation, by adopting a style of play focused on speed and puck handling skills rather than physical play. Where body checking is introduced our goal is to teach it as a part of the game, not as the game itself. Institute a high tempo, style of play that will be encouraged and taught at every age level to give our Teams competing Provincially the best opportunity for success. Safety: With the learning around concussions it is our intent to provide the safest experience we can for our players. Our “Style of Play” has been adapted to create this. Players are coached on the purpose ad style of checking, how to avoid “danger zones” and the time and place to engage in safe physical play. The intent is to put our players into the safest position to avoid the intense contact of the game, facilitate the skillsets of the players and embed a lifelong love of the game. Speed: Hockey is a game built around quickness; not necessarily how fast a player can skate from one end to the other but rather how “quickly” the puck moves up and down the ice; it is the great equalizer. Not every player is gifted with the ability to skate fast and our teams will always contain players with a wide spectrum of skating skills and physical abilities. Success will be achieved on the ice by winning the 20-foot rather than 200-foot races and while speed in many cases is an inherited ability, every player can be taught how to be quick. Coaches should develop drills that support an approach that allows our players to improve their individual skills and introduces team tactical drills for positional play that supports the quick movement of the puck offensively, has players positioned defensively and facilitates a transitional style of play. Puck Control: Effective puck movement is built around developing stick handling and passing skills that align with a read and react – transitional style of play. At every level WVMHA is looking for our coaches to introduce drills and tactics that support a strong puck control game, focused on the ability to move from defense to offense with strong puck handling skills and tactical strategies. Body Checking: Body checking is part of the game, not the game itself. The introduction of physical play at the Bantam and Midget Rep level has been a deterrent in some situations with players electing not to participate at this level. The development of a high tempo, transitional style of play at every level is the best defense to a heavy physical brand of hockey. Coaches need to ensure all our players develop strong skills for both contact and body checking as part of their individual development but the emphasis for WVMHA is on a high tempo, quick brand of hockey with high quality puck movement and a strong transitional game that forces others to react to rather than determine our play. This style of play is conducive to allow players to avoid the heavy contact zones and still have success. Fair Play: In some organizations Fair Play is preached and practiced in the House Division but not necessarily to the same extent at the Rep level. Success in sport comes from developing solid depth charts at every position and for everyone situation. Ensuring that every player experience while involved in WVMHA is a positive one, means committing to a system that provides equal; opportunity, variety and playing time to each and every player, every period of every game. From a pure dynamic prospective, it is just prudent to ensure our Teams are positioned to be successful on the Provincial stage and building team depth will provide the best opportunity for success. 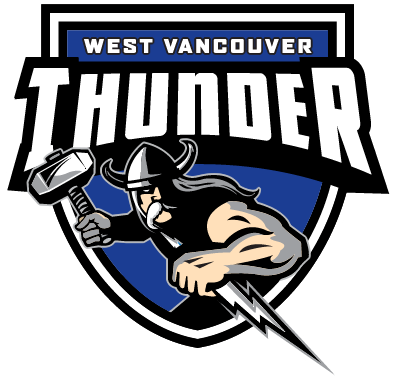 Tier 3: WVMHA, based on the # of players in the association, is classified as a Tier 3 Association. Based on the caliber of play of our teams it affords us to have the opportunity to qualify for the BC Provincial Championships at the Rep level. It is our goal to foster the “Style of Play” to allow all of our Rep teams (Atom to Midget) to have success and qualify for the Provincials each year. Oversight: In order to ensure WVMHA is achieving our goals on the Coaching Principles and “Style of Play” we are expanding our Player assessment to ongoing Coaching assessment to ensure players are being developed and coached in the manner above. WVMHA has in place a Coaching Committee to provide this oversight throughout the year.